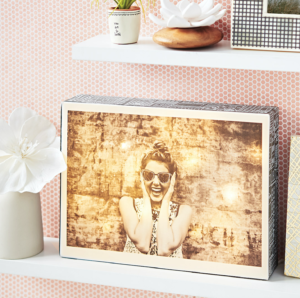 Whether you’re scrambling for a last minute gift or are looking for a creative way to brighten your dorm room, this illuminated photo box will do the trick! A quick and easy craft to keep your favorite photo on display all day and night. 1. 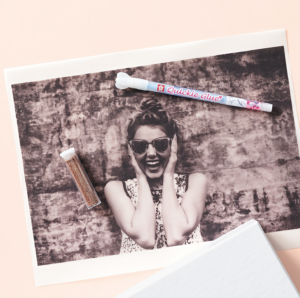 Print your photo on vellum and decorate with glitter, stickers, etc. 2. 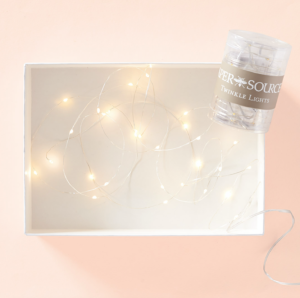 Fill your box with twinkle lights. Wrap the end of the cord around one of the bottom corners and tape the switch to the back. 3. Lay your photo on the open side of the box. Wrap the overhang around the sides and tape it down so the photo is secured. Pick your favorite decorative paper and cut strips the same width as the sides of the box. Adhere the strips with double sided tape. Visit papersource.com/diy-moments and check out our latest workshops for more DIY opportunities!